bears aren't a part of your curriculum, you can make a book about another animal or topic. This plan is not just for preschoolers either! Add in some writing skills and it's appropriate for older children, too. But let's go with bears. Hang a piece of chart paper at eye level for the children. Write the letters of the alphabet in two columns, leaving room to write words next to the letters. Tell the children that they are going to be learning about bears. Ask them what they already know. Let a few children share and then show the class the book about bears that you have chosen to use. I like Bears: Paws, Claws and Jaws because it doesn't have too much text for younger children, it has interesting photographs and it talks about all eight types of bears, where they live, what they eat and more. This book is still a little long to read to preschoolers in one sitting, so you'll probably want to break this part of the lesson into two days. Show the students the alphabet chart and tell them that later in the week, they will be working on making a class book about bears. To help prepare, ask them to listen as you for important words and phrases relating to the animals as you read. Begin reading the first page. After you have finished the first page ask the children, if they heard anything they want to add to the chart. Add any words or phrases to the chart next to the corresponding letter and continue reading. Stop after each page or section and add words to the chart. If you are breaking the lesson into two days stop halfway through the book and resume the following day. After you have finished reading the book, go back and review the chart. If there are any letters that are blank, encourage the children to think of words or phrases to go with them. Help them with the trickier letters. try to help make sure the words on the chart cover the important facts about bears, the types, their habitats, diet and habits. F might be for forests, the habitats of black bears. B could have bamboo for the diet of Giant Pandas and brown and black for two types of bears. S might have sloth bear, which is both the name of a group of bears and a type of bear. The following day call the class together and read over your chart again. Discuss how the words for each letter relate to bears. To make the book, give pairs of students one or two letters to illustrate. You can either assign the letters or let the children choose. 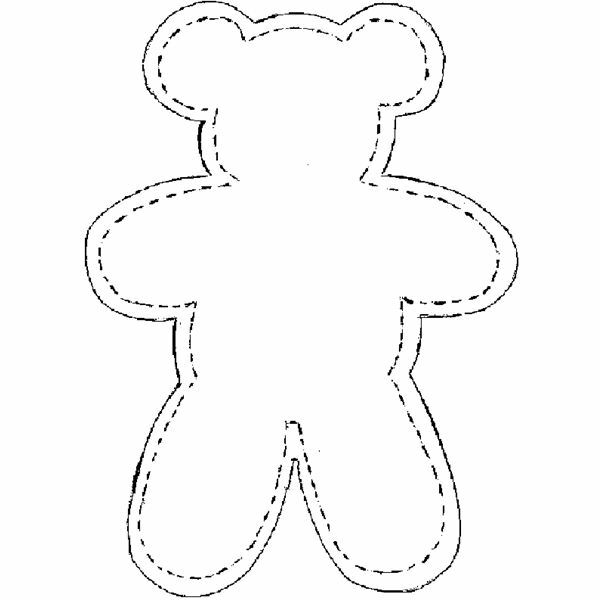 Then give the students a small bear shape (die cut) with the letter on it and a sentence strip with the corresponding word or words printed on it. Have each pair illustrate their words on manila paper and then glue or tape the bear shape and sentence strip on the page. When all of the pages are finished, let the class think of a title, like "The Bear ABC's" and make a cover for the book. Then bind the pages together and read the book to the class. Keep it in your reading center or let the children take turns taking it home to share their knowledge of bears with their families. Informally assess what the children are learning as you work on the chart and as you monitor the children illustrate their book pages. While they work, ask them about the words for their letters and facts that they learned about bears. This sample bear lesson plan for preschool children is a great introduction to these favorite mammals. Continue to read books and do activities about polar bears, giant pandas, grizzlies and more and your students will soon become experts on the subject. Richardson, Adele D. Bears: Paws, Claws, and Jaws. Bridgestone Books, 2001. Find ideas for crafts and activities to each young children about bears. Preschoolers will have fun reading and making bear books and learning about the different types of bears. Preschool Literacy Activities with Brown Bear, Brown Bear, What Do You See?